Style: Bi-Level "Semi-Detached (1/2 Duplex)"
Home ownership can be within reach with this well cared for bi-level in Pacific Heights. Trendy wide plank laminate flooring ties together the main level - a bright and open living room, dining room with an attractive wainscotting feature and into the kitchen that includes all appliances. There are two good size bedrooms on the main and a full bath. The fully developed basement has large windows for lots of natural light throughout the large family room, bedroom, den and two piece bath. The laundry/utility room has additional storage with cabinetry. 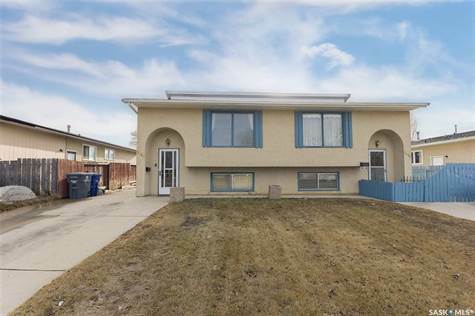 A double concrete driveway allows for ample off street parking and the fenced backyard is perfect for summer enjoyment. Parks, shopping and amenities are all close by and there is easy access to major roadways.